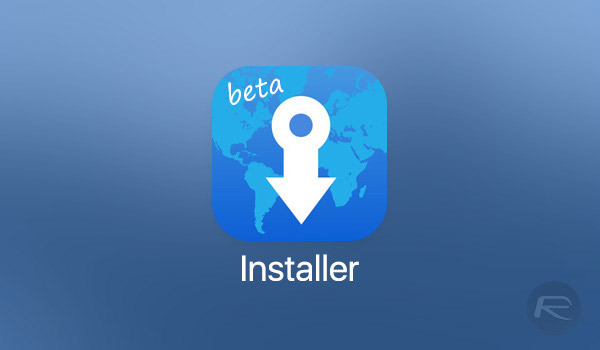 The AppTapp team have officially started sending out invites to the first wave of selected beta testers for the new Installer 5 app. The emails are heading to selected inboxes with the subject “Installer Beta Notification,” confirming that a secondary email will be issued with the beta is officially released. 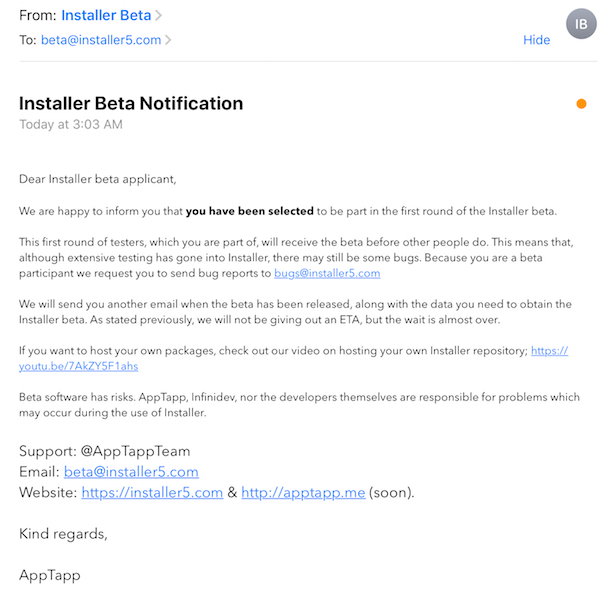 Before we all go getting excited, it’s worth reiterating that this initial email correspondence from the AppTapp team does not include access to the initial pre-release version of the highly-anticipated Installer 5 app. This is indeed exciting news for those jailbreak fans who have been waiting patiently for progress to be made where Installer 5 is concerned. Over the last few weeks, we have been witness to the Installer team releasing teasing screenshots of the Installer 5 user-interface, as well as showing off short clips of the app in action. We’ve also seen the team release a tool dedicated to developers and creators that allows them to package their tweaks, themes, and creations together to be offered via Installer 5 when it’s finally released. Most recently, we’ve also seen the team rebrand from living under the Installer Team name to actually calling themselves AppTapp, which gives the impression that additional tools and apps will ultimately be released once Installer 5 is out in the wild. However, for now, all focus is most definitely on Installer 5, with most of the community hoping that it gets pushed out into the public domain sooner rather than later. This email, which is being received by selected registrants, is the first step in that process and will immediately give the AppTapp team a large selection of feedback and bug reports to wade through once it’s in the hands of those testers. As always, as and when more information becomes available, and more specifically, when the initial beta is actually seeded to selected testers, we will be sure to let you know.